Holiday parties are right around the corner. While it’s not mandatory to bring a gift for the host, it is a nice way to thank them for inviting you. I have a friend that has a knack for picking the perfect hostess gift. We’ve attended many parties together and I’ve never seen her give the same gift twice. She makes it a priority to put time and thought into selecting something unique that fits the personality of the host. My goal this holiday season is to ditch the tried and true bottle of wine (not that there is anything wrong with that!) and come bearing a gift that is a little more original. Below are some gifts I “wish” to give and they’re all $30 and under. 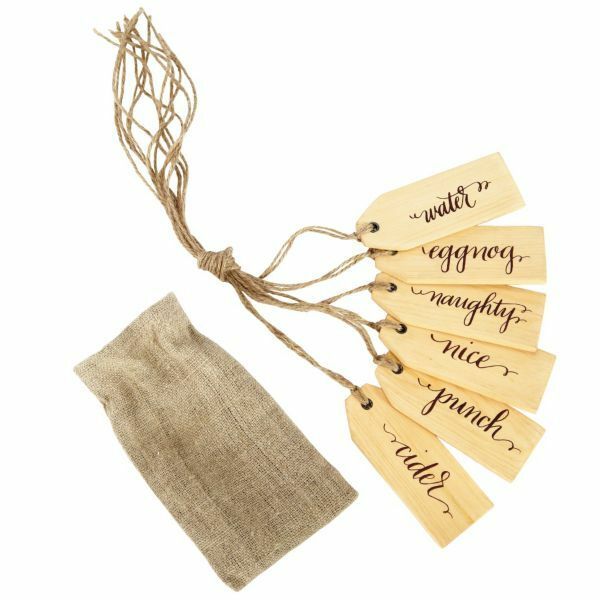 The holiday beverage tags above from Ballard Designs are a fun way to label your libations. I also love the non-holiday version that can be used all year round. 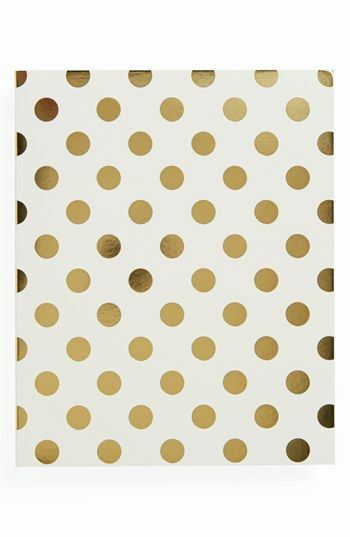 Give your hostess a Kate Spade spiral notebook that adds a touch of glam to her to do lists. 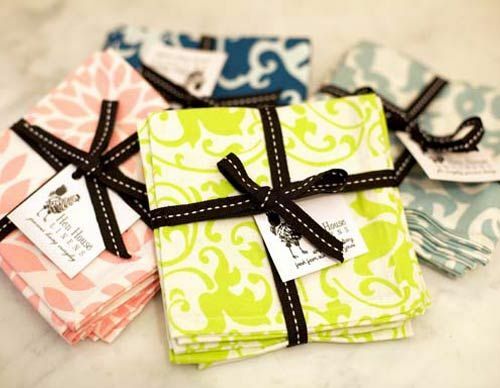 This beautiful set of 6 cloth cocktail napkins from Hen House Linens gives the host a formal option for serving beverages and they’re environmentally friendly. The Philosophy Holiday Handbook set of hand creams from Beauty Brands allows the hostess to pamper herself after the partygoers clear out. 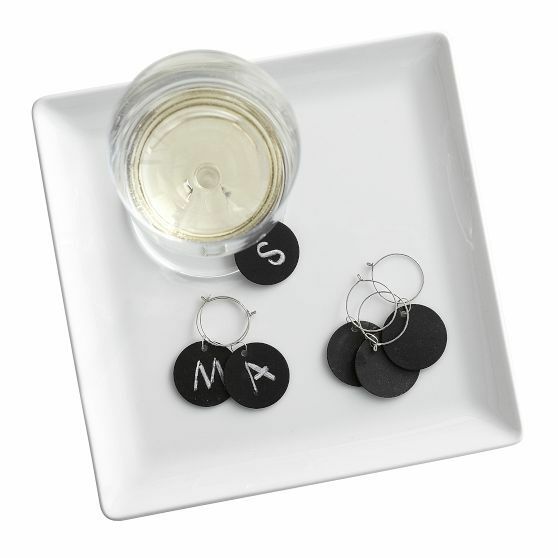 No more mixing up wine glasses with these chalkboard wine charms from Mark and Graham. 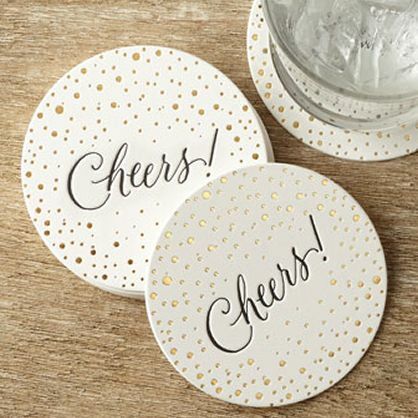 Regardless of the celebration or time of year, the bubbly “Cheers” coasters from Nieman Marcus add some sparkle to the party. Follow my hostess gift Pinterest board for more ideas. 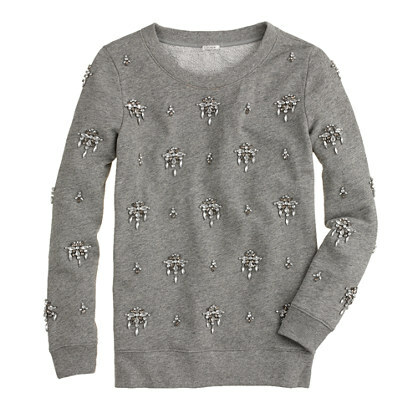 This Jeweled Chandelier sweatshirt from J. Crew is so popular that it’s on back order until late November. Order now for Christmas. 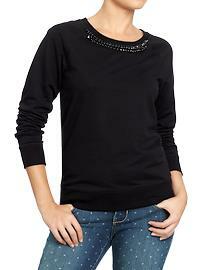 Old Navy has several options with a subtle amount of bling and at a great price point. I love this neutral look from Express . 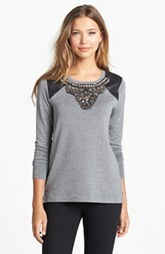 The Kensie embellished sweatshirt from Nordstroms mixes bling with a touch a faux leather for an edgy look.